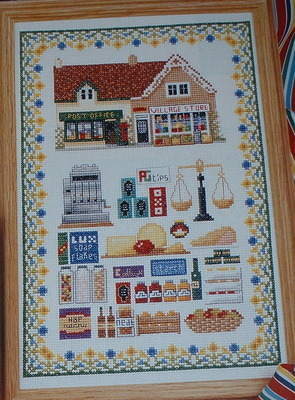 This design is for a village store sampler, complete with post office, cash till, scales and provisions. Parts of the designs have also been taken to create five card charts. Charts use black and white symbols.